What is behind the concern of US officials about the rights of the Orthodox? He particularly stressed that “the purpose of this event tonight is to raise awareness so that Greece’s democratic institutions, Greece’s free press — which are all quite strong — can be alert and able to respond”. It is not difficult to guess what this “response” should be, from the US point of view. And there is only one right criterion – the American government supports those who serve the interests of the American state. Probably, based on these prerequisites, Jeffrey Payette believes that any criticism of Patriarch Bartholomew is an attempt to “undermine his role” and the full support for the Phanar by the US Department of State is only defending “religious rights and freedoms”. The US government has never concealed the fact that one of the essential moments of its policy on the territory of Ukraine is and will be the “church issue”. Therefore, the Tomos and the related events received full support from the State Department. We present only some of the latest evidence. 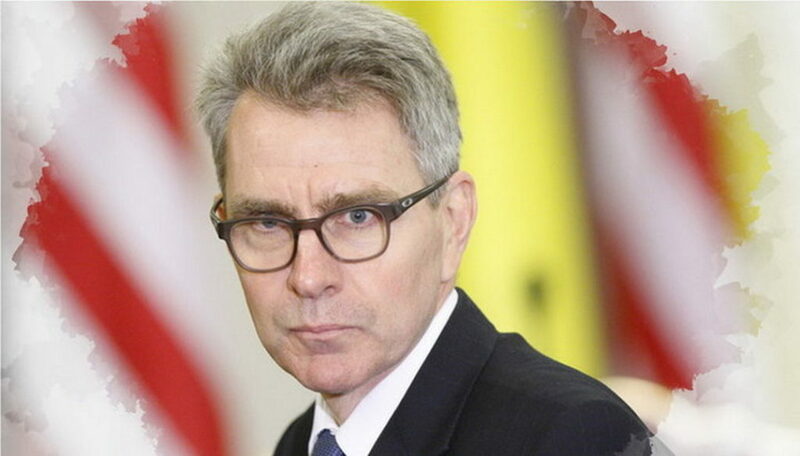 On February 8, US Ambassador for International Religious Freedom Samuel Brownback said that Washington was “pleased to see” the actions of Constantinople Patriarch Bartholomew on creating a new church structure in Ukraine and believe that they should be implemented. In turn, the head of the Kiev Patriarchate Filaret Denisenko awarded former CIA Deputy Director Jack Devine with the Order of St. Andrew the First-Called, and “Metropolitan” Epiphany Dumenko thanked the United States for its support. This position of the United States in relation to church issues in Ukraine has allowed a number of domestic and foreign experts to make a logical conclusion that the US Department of State not only supported but also, in a sense, oversaw the bestowal of the Tomos for the OCU. For example, Ukrainian political analyst Andrei Vidishenko believes that American politicians have the opportunity to put pressure on the Phanar, using the Greek Orthodox Archdiocese of America as a tool for their political technologies. There is nothing strange in this because the United States and the Phanar have been cooperating very fruitfully for quite a long time. On October 27, 2018, former US Vice President Joseph Biden, who particularly stressed the importance of creating the OCU, was among the guests at the Patriarch Athenagoras Award of Human Rights bestowed upon Fr. Alexander and Presbytera Xanthi Karloutsos for their valuable services to the Church and Greek-American Community. By the way, the same event, which was organized by the Patriarchate of Constantinople at the Hilton Hotel, was attended by a representative of His All Holiness Ecumenical Patriarch Bartholomew, Metropolitan Emmanuel of France – the one that presided at the schismatic “Unification Council”. Father Alexander is a big man. He is the executive advisor to the Faith: An Endowment for Orthodoxy and Hellenism Foundation, whose goal is to finance the institutions of the Greek Orthodox Archdiocese of the United States. Many analysts believe that precisely because of this, the Foundation is one of the tools of American influence in Greece. So, he knows what he is talking about. Indeed, the election of Patriarch Athenagoras and the role of the United States in this operation have been written about many times. The most detailed analysis of everything that accompanied the event can be found in the article by priest Pavel Yermilov “The Entry of the Constantinople Patriarchate into the Mainstream of US Foreign Policy in the Early Years of the Cold War”. The candidacy of Patriarch Athenagoras arose as a result of the refusal of Patriarch Maxim to cooperate with the American special services, which was extremely important for the United States in the process of confronting the Soviet Union. Behind all the beautiful words about promoting universal values and fighting the “communist contagion” were the usual political interests of the American state. And Patriarch Athenagoras, as a US citizen, was best suited to defend these interests. The Phanar did not simply associate itself with the foreign policy interests of the US government but also collaborated with it on resolving purely church issues. And it did not only collaborate but received directives that were accepted for execution. You will say that it was so long ago and has nothing to do either with our time or with our country? As you can see, the American state is more than actively involved in the religious life of Ukraine. And the more surprising for us are the words of Jeffrey Payette, who accuses Russia of attempts to undermine the role of the Patriarch of Constantinople. The fact that he discussed with the head of the Orthodox Church of Greece the question of creating the OCU in Ukraine does not bother him at all. Neither does the constant contact of the civil authorities of the Holy Mount with abbots of the Athos monasteries. However, soon as the civilian governor of Athos Konstantin Dimzas went to St. Petersburg, that very American official began to teach the Greek media how to cover this visit and how to talk about Orthodoxy in general. And this is despite the fact that neither he nor any other representative of the US government needs Orthodoxy as the faith of millions of people. But at the same time, all of them for some reason need a “single Orthodox Church of Ukraine”. What for? This question was answered by a citizen of the United States, the “bishop” of the UGCC Boris Gudziak: “It will be easier to conduct a theological, spiritual, ecumenical dialogue with one Church.” Apparently, the US State Department decided that, firstly, in the face of the OCU, it was necessary to create a powerful tool to destroy the role of the Moscow Patriarchate in the life of world Orthodoxy, and secondly, to merge all Ukrainians into one common religious mass: it is not only clearer who you are dealing with, but it is also easier to achieve “ecumenical unity”. Who with? It is known who with. So, when we hear how the American government suddenly begins to worry that someone and somewhere infringes upon Orthodox Christians, let’ not jump to conclusions. 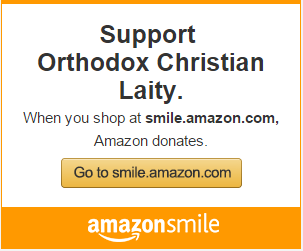 Most likely, the representatives of this country do not care about making Orthodoxy more protected and Orthodox Christians receiving the same rights as all other civilized people. In most cases, they take care to protect their supporters, whom in another case, if it is in the interests of the American state, they will have no scruples to betray. But Orthodoxy, freedom of religion and human rights have nothing to do with it. Now, hold on. This is a propagandist piece. When Athenagoras took over as Archbishop, he looked around at world Orthodoxy circa 1930’s. You know what he saw? 1. Russia and Ukraine, Stalinist, communist and religion persecuted and controlled. 2. Greece, depression, poverty, a pre-WW II mess. State ruled the church. Later to succumb to the Nazis. 3. Turkey, Kamal Ataturk and oppression. Axis allies in both wars. 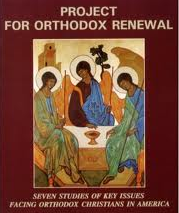 And other examples, THAT was world Orthodoxy, brothers and sisters. No where was Orthodoxy free. Only America provided Orthodoxy with Freedom of Religion. Only America was to stand against facism and communism ! Do you know what he was directly quoted as saying? “Orthodoxy will be saved by America” ( “H Orthodoxia tha sothi apo tiv Ameriki “). That’s the real history and truth. Please spare us this foreign propaganda by those with an anti-American agenda. Dean, I do not see a conflict between Athenagoras’ comment and the article. Was he speaking of the faithful in America, or the secular government? Surely the former, and this “propagandist piece” indicts the latter. This coming Sunday of Orthodoxy will likely exhibit the fruits of the Ecumenical Patriarch’s recent actions. I expect that there will be notable absences in city after city across America in what should be a demonstration of Orthodox unity. And I lay a significant part of the blame for this sad state of affairs on the US State Department. No, no, George, don’t sell me that split view, please. The American experience and support encompasses all that is good here, including any support by the US State Department. Without America, Orthodoxy becomes a world-wide Russian influence operation. Bartholomew leaves a lot to be desired as a hierarch, despite the enormous handicap of having to operate in Turkey, but if he chooses to assert the authority of his See allowing Ukrainian freedom of choice, over the corrupt and oppressive Russian Bear (where church and state are one and offer no free choice), I am okay with that. The Russians have no monopoly on truth. And if our great nation chooses to support the free religious desire of even some of the Ukrainians to be led by whom they choose to be led, then I am damn proud of the support of our US policy makers in that effort. See, the governing principle at play here is our First Amendment Freedom of Religion, seen nowhere in the world but here, not that which infuriates the Russians and their conflated religious and geo-political strategy. And I am okay with exporting that sacred virtue for sure and I am certain that’s what the prescient Athenagoras saw himself, nearly 90 years ago.